Stem cell treatments for curing Parkinson’s disease have been one of the dreams of stem cell scientists ever since the first embryonic stem cells were derived from mouse embryos in 1981. Unfortunately, this proved to be one of the harder therapeutic nuts to crack. Several experiments have shown that while feasible, getting the recipe right has required a fair amount of tweaking. Parkinson’s disease (PD) results from the progressive death of neurons in the midbrain that release a neurotransmitter called dopamine, To review briefly, the brain consists of the forebrain, midbrain and hindbrain. The forebrain consists of the two large cerebral hemispheres that occupy the vast majority of the space within your skull. 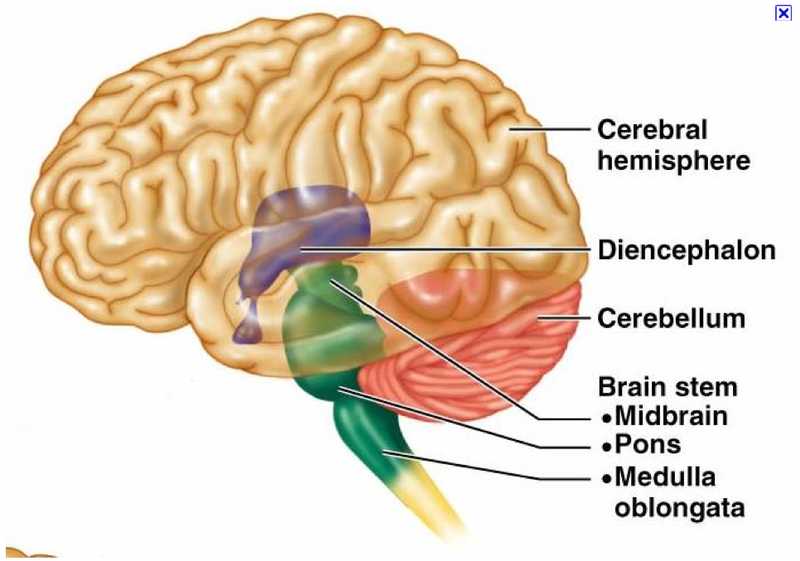 In addition to the left and right cerebral hemispheres is the diencephalon that consists of the thalamus, subthalamus, hypothalamus, and epithalamus. The thalamus serves as a relay station for a whole variety of nerve fiber tracts, the hypothalamus regulates visceral activities by way of other brain regions and the autonomic nervous system. 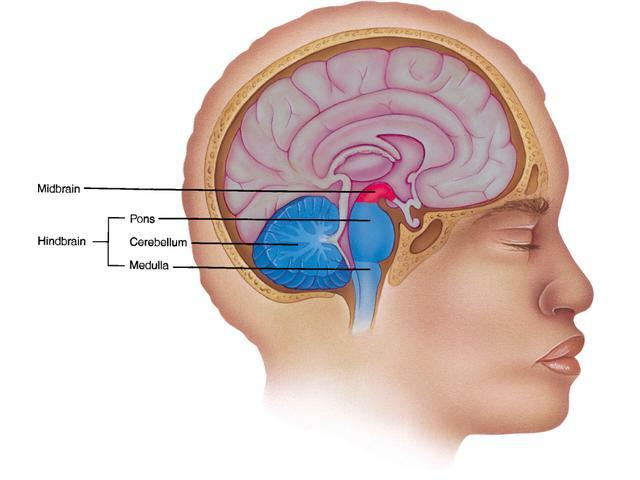 and the epithalamus connects the limbic system to the rest of the brain. 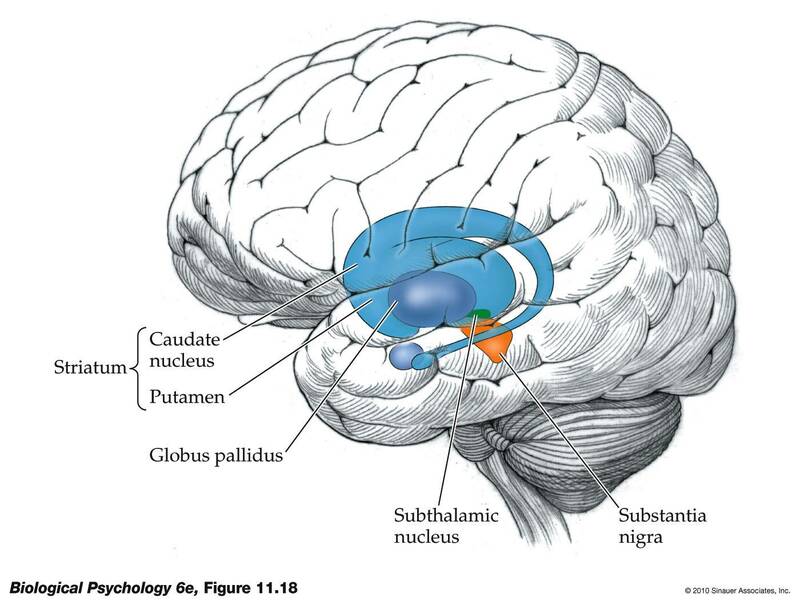 The midbrain, which lies below the diencephalon, is part of the brain stem and dopamine produced in two regions of the midbrain, the substantia nigra and ventral tegmental area play roles in motivation and habituation, and refinement of the control of voluntary movement, The hindbrain consists of the metencephalon and the myelencephalon, both of which contain mutiple fiber tracts and nuclei for vital functions. The death of dopamine-producing neurons in the pars compacta region of the substantia nigra region of the midbrain causes PD. The par compacta sends nerve fibers to the cerebral hemispheres, in particular to cluster of neurons called the basal ganglia. The basal ganglia do not initiate movement, but they refine movement and stabilize the limbs and other body parts while moving. Thus the basal ganglia normally exert a constant inhibitory influence on a wide range of movements. preventing movement at inappropriate times. When someone decides to move, this inhibition is reduced for the required motor system, thereby releasing it for activation. Dopamine releases this inhibition, and therefore high levels of dopamine tend to promote movement and low levels of dopamine demand greater exertion to generate any given movement. Thus the net effect of dopamine depletion is to produce hypokinesia, or less overall movement. Now that we have some knowledge of PD and what causes it, we can examine how to cure it. Since the death of dopamine-secreting neurons causes PD, replacing death or moribund neurons should be possible. Several preclinical studies in laboratory animals and clinical studies with human patients has shown that this is possible. Rodents can contract a synthetic form of PD if they are treated with a drug called 6-hydroxydopamine. This drug kills off their dopamine-secreting neurons and creates a PD-like disease. Embryonic stem cells can be differentiated in the laboratory into dopamine-secreting neurons, which can then be transplanted into the midbrain. In PD rats, this strategy has reversed the symptoms of PD, but tumor growth has been a nagging problem. The biggest problem is that isolating fully differentiated dopamine-secreting cells has proven difficult because of a lack of good, solid indicators that say to the scientists, “This one is a dopamine-secreting neuron and this one is not.” Thus, isolating nice, clean cultures of only dopamine-secreting cells has been kind of tough to do. Fortunately, Doi and others in the Takahashi lab at the University of Kyoto showed that prolonged maturation culture system (42 days long) can eliminate most of the tumor-making cells. However, this culture system is laboriously long. Now, Takahashi and Doi and others have struck again in a paper published in Stem Cell Reports in which they used induced pluripotent stem cells to derive dopamine-secreting neurons to treat PD rats. Because induced pluripotent stem cells are made from a patient’s own adult cells and are converted into embryonic-like stem cells by means of a combination of genetic engineering and cell culture techniques, they are patient-specific and do not require the dismembering of human embryos. The novelty of this paper is that Doi and others used a protein that acts as an earmark for dopamine-secreting midbrain neurons and this protein is called CORIN. CORIN is a protease, which simply means that it clips other proteins into small pieces. Nevertheless, by using the CORIN protein, Takahashi, Doi and others successfully and efficiently isolated dopamine-secreting midbrain neurons from other cells in their cultures. Additionally, Doi and the gang were able to differentiate the induced pluripotent stem cells into dopamine-secreting progenitor cells. This means that the cells were poised to differentiate into dopamine-secreting neurons, but were not quite there yet. This way, the cells would grow in culture, but upon transplantation, they would differentiate into dopamine-secreting neurons rather than form tumors. High numbers of cells are required for clinical purposes and this technique allows the for production of large number of cells. The technique used in this paper also produced the cells under conditions that were safe, scalable and potentially usable for clinical use. These high-quality cells never produced any tumors and produced definitive behavioral improvements in the implanted laboratory animals. The problems that remain are one of scale. The grafts of dopamine-secreting cells that survived in the midbrains of these mice were relatively small (about 1 square millimeter in size or the thickness of a dime). This is probably due to the fact that the cells differentiate when transplanted rather than growing. Therefore, this technique will need to be adapted to somehow increase the size of the graphs of dopamine-secreting neurons. In some PD patients such small graphs will probably work just fine, but in others, probably not. The other issue is that these implanted cells might be subjected to the same bad intracerebral environment as the original cells and die off quickly, thus abrogating any positive clinical effect they might have. This is another issue that will need to be examined. The work goes on, without the need to destroy any embryos. See Daisuke Doi at al., Isolation of Human Induced Pluripotent Stem Cell-Derived Dopaminergic Progenitors by Cell Sorting for Successful Transplantation. Stem Cell Reports 2014, 2: 337-350.